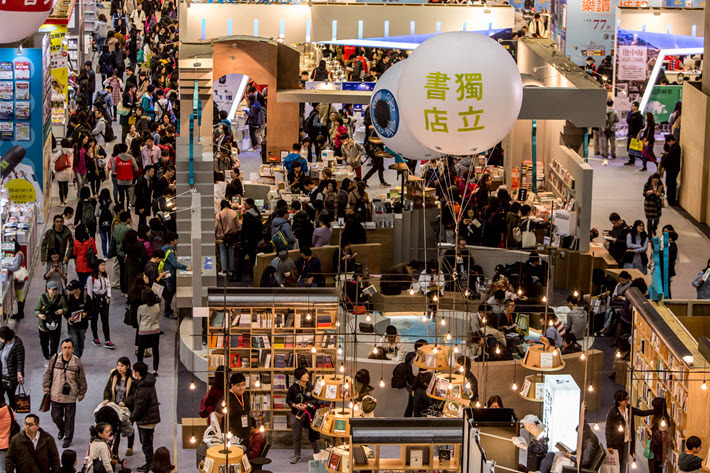 For advice on selling rights into China, we speak with Andrew Nurnberg Associates agent Jackie Huang, who will address the Frankfurter Buchmesse’s professional program during the Taipei International Book Exhibition next week. Established in 2002, Andrew Nurnberg Associates China is a go-to agency for a many looking to sell rights into the Chinese market. And on February 5 and 6, when Frankfurter Buchmesse stages its two-day Frankfurt Publishers Training Program at the Taipei International Book Exhibition, literary agent Jackie Huang will be a key speaker. Focused on the rising rate of rights sales to Chinese publishing houses in the past few years, Huang’s talk is one of the most anticipated of the event, which is being led by Frankfurt international business development director Katharina Ewald. In advance of her address, “Ways Into the Chinese Market,” Publishing Perspectives has had a chance to explore several issues and trends with Huang, who directs Andrew Nurnberg’s Beijing office. We open our exchange by asking about the scale of rights activity the agency is seeing now in its Chinese operations. And we have a chance to show you here some of the key titles the agency has sold recently. Publishing Perspectives: Can you give us an idea of the pace of rights activity you’re seeing in the Beijing office today? 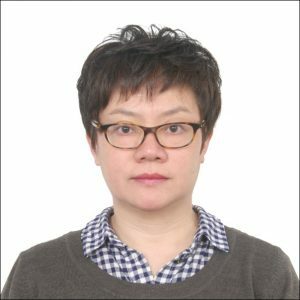 Jackie Huang: We mainly represent clients from Europe and North America, selling translation rights to Chinese publishers covering adult fiction, nonfiction, and children’s books. On average, we’re selling rights to more than 1,000 titles per year. Chinese editors generally have preferred buying rights in nonfiction, especially in history, psychology, popular culture and popular science, parenting, and self-help. But since last year, translated fiction has been having more and more rights attention from Chinese editors, especially for science fiction novels and inspiring coming-of-age stories. Novels that win literary prizes or are adapted into films and TV dramas seem to be very well accepted and have the best chances of being published in China. In adult trade, English translations still dominate the Chinese market, but we see German and French translation rights increasing very fast in recent years, and along the same genre lines as English. PP: We have understood that while children’s books are among the content selling most strongly into China, there’s been a recent change. Can you define that for us? JH: Since 2006, we’ve seen translated children’s books developing extremely fast in China. Picture books were booming until the end of 2016. In 2017, middle-grade children’s fiction and knowledge books for kids from 3 to 12 years old became the main publications in translated books selling into China for children. Rights sold into China: Three familiar titles that Andrew Nurnberg Associates has sold into the Chinese market: From left, Sheryl Sandberg’s ‘Lean in for Graduates’ (Knopf) sold to Citic Press Corporation; Kelly McGonigal’s ‘The Willpower Instinct’ (Penguin Group) sold to Cultural Development Press Co. Ltd.; and Steven D. Levitt and Stephen J. Dubner’s ‘SuperFreakonomics’ (William Morrow) sold to Citic Press Corporation. PP: For our readers who might not be familiar with the frequently seen notes on “simplified” and “complex” Chinese, can you explain what’s signified by these terms? JH: “Simplified Chinese” means a simplified way of writing Chinese characters. In China, we use simplified Chinese, and in Taiwan, they still use traditional Chinese which also called “complex Chinese.” You’d find that the writing in both is similar, but the complex characters have more strokes in how they’re formed. PP: Can you speak to how you handle issues of censorship, when something, for example, is required to be changed in content sold into China? JH: We always respect the author’s choice, if we meet with any censorship on their books. PP: Can you give us a preview of some of what you’ll say on Monday (February 5) in your address at the Frankfurt Forum in the Taipei Book Exhibition? JH: The main audience at the Taipei Book Fair will be representatives of Taiwanese publishers, and some of them already are very active in rights trading with Chinese publishers. Actually, in the early stages of copyright trade in China since 1992—when China joined in The Berne Convention—the first round of translation rights was in Taiwanese books, later developing to include English and other languages. And this, of course, was because Chinese publishers had no language barrier in reading language reading books from Taiwan. This strongly inspired us to submit foreign books with ample information in Chinese, because Chinese editors obviously were more comfortable reading Chinese submission materials and could make much quicker decisions about buying rights. This happened especially in adult fiction, YA novels, and middle-grade fiction. And we strongly advise that rights sellers provide a longer synopsis—a full outline—to explain the plot of a story. A short blurb letter just doesn’t work very well. Of course, there’s less need to do this with nonfiction, picture books, illustrated knowledge books, or chapter books. PP: And are there any trends you’re noticing in terms of how your own work and your associates’ work as agents is being affected by the current tone and pace of the market’s rights trade these days? JH: In my past 15 years of working in the Chinese market, I’ve noticed that there’s a serious shortage of professional acquisition editors for translation rights at many Chinese publishers. The editors need lots of help from local agents to handle rights purchases, especially for trade books. So the bottom line is that working with co-agents to handle your translation rights is really necessary in China—and that’s true even for Taiwanese publishers. Rights sold into China: Three more familiar titles that Andrew Nurnberg Associates has sold into the Chinese market: From left, Jeff Kinney’s ‘Diary of a Wiimpy Kid’ series (Amulet Books) sold to Guangdong New Century Publishing House Co. Ltd.; Peter Frankopan’s ‘The Silk Roads’ (Vintage) sold to Zhejiang University Press; and JJ Abrams and Doug Dorst’s ‘Ship of Theseus’ (Mulholland Books) sold to Citic Press Corporation. We’ll have more information on the Taipei International Book Exhibition in the days to come, and for news of the Chinese market, in particular, watch later this week for our latest report on China bestsellers, this month featuring a 2017 year’s overview from OpenBook and Trajectory.